Every wardrobe needs a staple collection of classic office wear. 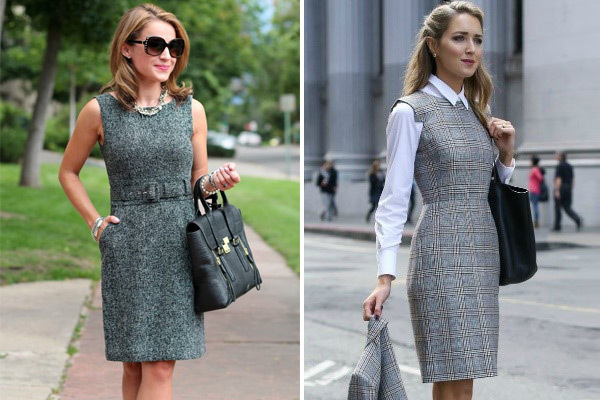 Look professional, feminine and chic with our selection of perfect office dresses. Whether you like it or not, the way you look plays a role in your success in the modern workplace. The key is to mix pieces that are both conservative and edgy, and put together looks that can be easily layered for a quick change when you're headed out. It's time to be feminine at the office and choose a dress with a classic cut. This style will make you feel strong and refined. 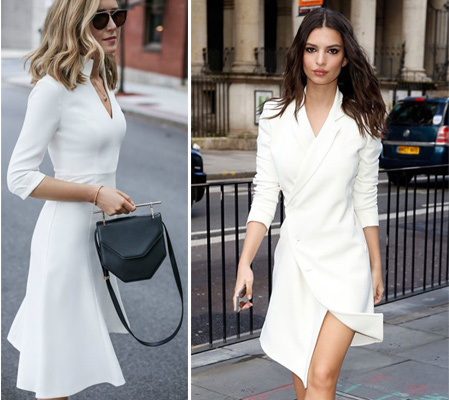 White is the recommended color of the warm season, and if the chosen outfit is a simple, classic dress, it won’t fail you. This fall we’re going bold. More specifically, we’re reaching for the brightest and the most eye-catching stripes we can find. It’s time to amp up that seasonal wardrobe of yours with a fun take on the classic pattern. 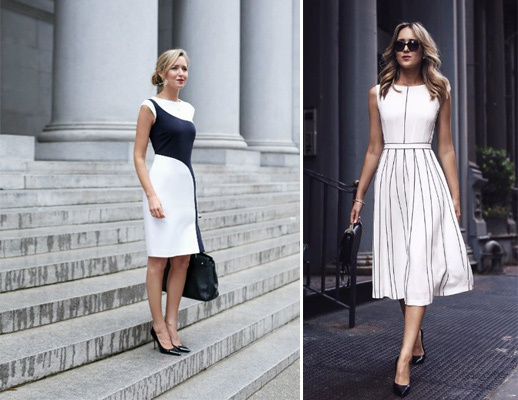 Make a statement in gorgeous office midi dresses. For effortless style that will take you from work to play, keep your look bang on trend with an ultra-flattering midi dress this season. Whether you want to look seductive in a slinky knee length dress or sophisticated and stylish, a midi dress is perfect for your wardrobe. All you need to get through summer at the office is a good black dress. If there is one piece of clothing we appreciate, even on the most sweltering of days: a good black dress. They’re the most dependably stylish item in your closet, especially when it comes to figuring out what to wear during a work meeting. Ruffles are both girly and fashionable, but many women have trouble finding the right ruffles to flatter their look. You should keep ruffles away from areas of your body that are already full – you can pair ruffles with simple, clean pieces to prevent the style from overwhelming your entire figure.